If you're a Potterhead and not-quite-yet-convinced to try yoga despite repeatedly hearing from your friends how great it is, this awesome news might be what'll finally get you to sign up: a Harry Potter-themed yoga class is now being offered in Texas! 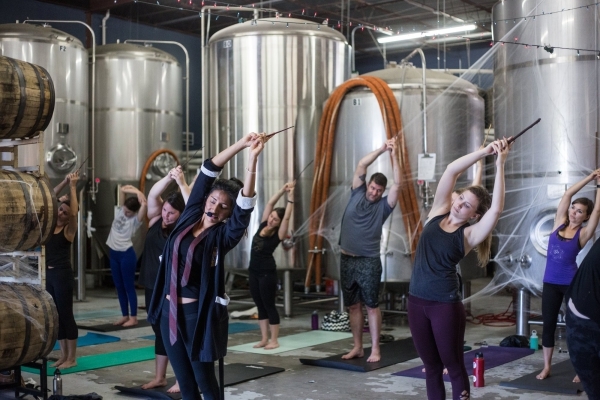 Last October 30th, The Circle Brewing Company in Austin skipped their weekly beer yoga class and instead held their very first "Deathly Hallows" Harry Potter yoga class in honor of Halloween and Dia de los Muertos. 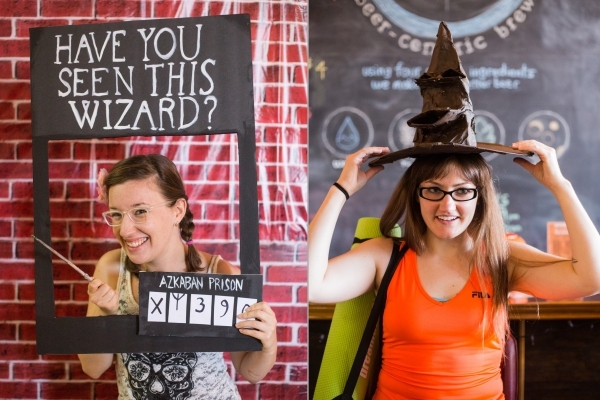 The brewery was transformed into Hog's Head Inn, with an adorable mini mandrake garden, a potions section and even the Sorting Hat made an appearance! "But was there *actual* yoga involved?" YES! 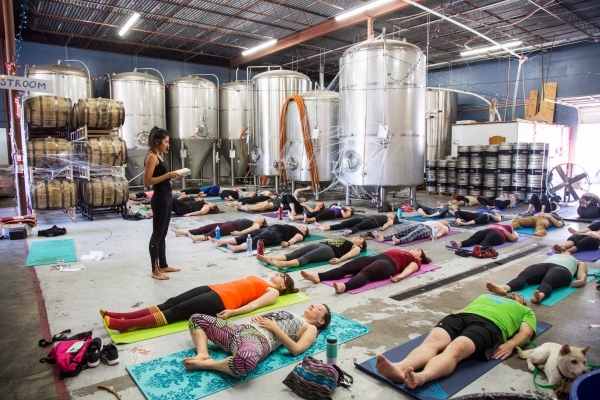 Yoga teacher Isabel Beltran led the 60-minute Vinyasa Flow yoga asana class (which included meditation) inspired by, and infused with, lots of Potterverse elements. Tree Pose became 'Whomping Willow,' they did Upward Salute with wands up, Cat-Cow Pose as a nod to Professor McGonagall as an animagus who can transform into a cat, and Warrior II became "Reverse Wizard." Warrior II may be THE perfect pose for Expelliarmus but, in the class, Beltran's cue was for students to think of their happiest memory for Expecto Patronum. 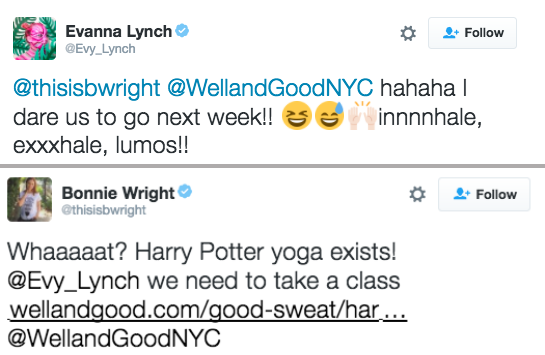 The class sounds like a dream come true for HP-loving yogis, and it got a lot of attention worldwide that even Ginny Weasley and Luna Lovegood heard about it and yep — they're totally down to try the class! Beltran told Buzzfeed that it was "a gentle class to make sure it was welcoming for all wizarding levels." Ready to apparate and try it? The good news is that there are more Harry Potter yoga classes scheduled for November 20th and 27th. The bad news: both are already sold out. The class has become so popular though, so we suggest you keep an eye on their calendar for future classes. Would YOU try this Harry Potter-themed yoga class? Sound off in the comments below!